Everyone loves a good dinner. And if you’re the one preparing the dinner, then you appreciate a dinner that’s easy to make. This is a pretty easy recipe. And it’s likely to be welcomed by all members of your family. The most offensive ingredient in the recipe is possibly the mushrooms– so you can always leave them out if you have mushroom-haters in your bunch. In my house, we ask the kids to just set them aside if they are refusing to eat them. More for us! 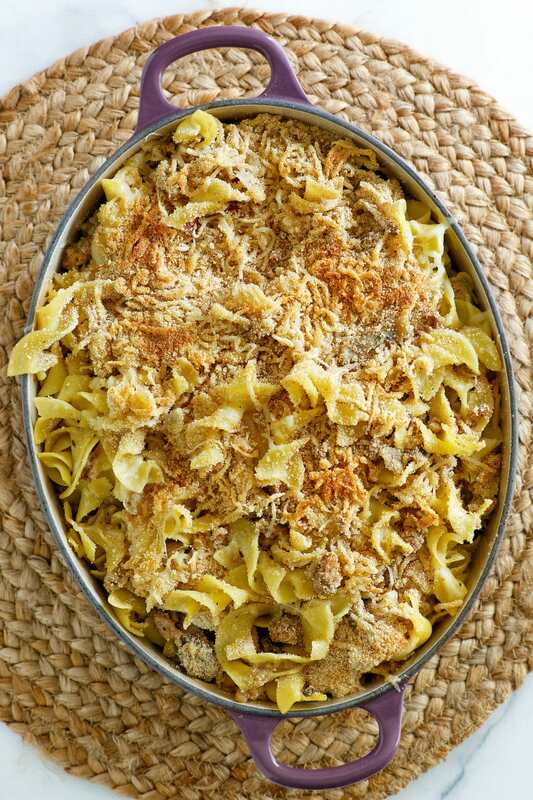 What kind of turkey do you need for this Turkey Noodle Casserole? 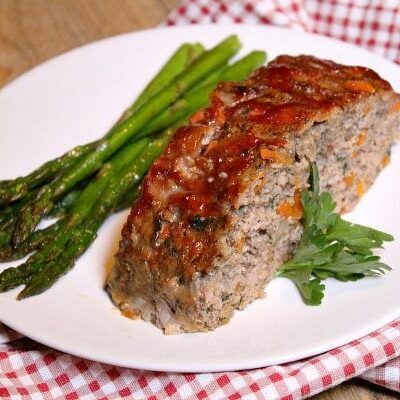 This recipe calls for ground turkey. That makes it easy to make any time of the year. If you are wanting to make this after a holiday turkey day, you can most definitely use chopped turkey instead. Instructions are included in the recipe notes on the recipe below. If you’re looking for more recipes to use leftover turkey, you might also like my Leftover Turkey Salad Sandwiches or this Next Day Turkey Soup. 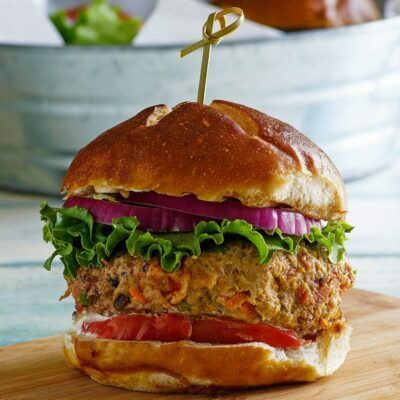 And if you like ground turkey, you will most definitely enjoy checking out my recipes that use ground turkey. 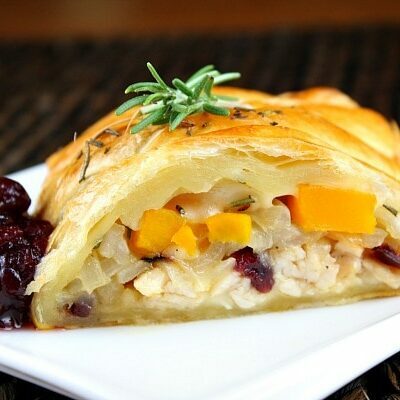 Or just browse all of my turkey recipes and see what you can find! 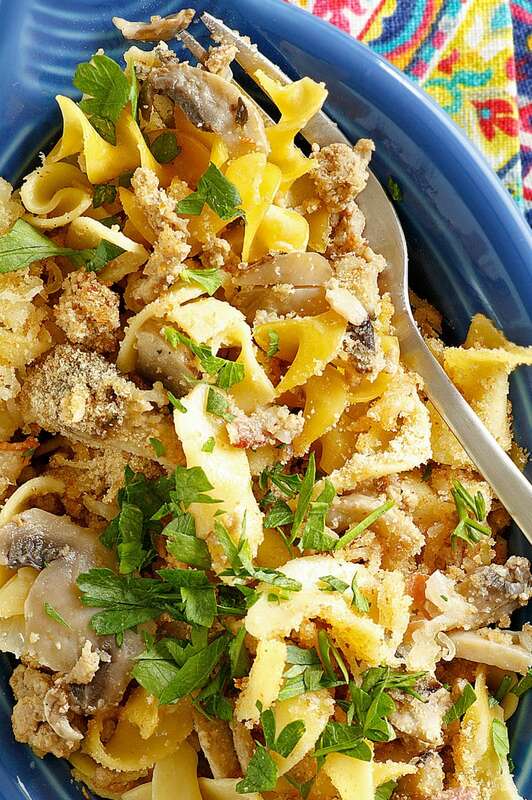 I personally think the best part of this recipe is the egg noodles. There isn’t anything much better than egg noodles on this planet. I absolutely love them! Is that weird? 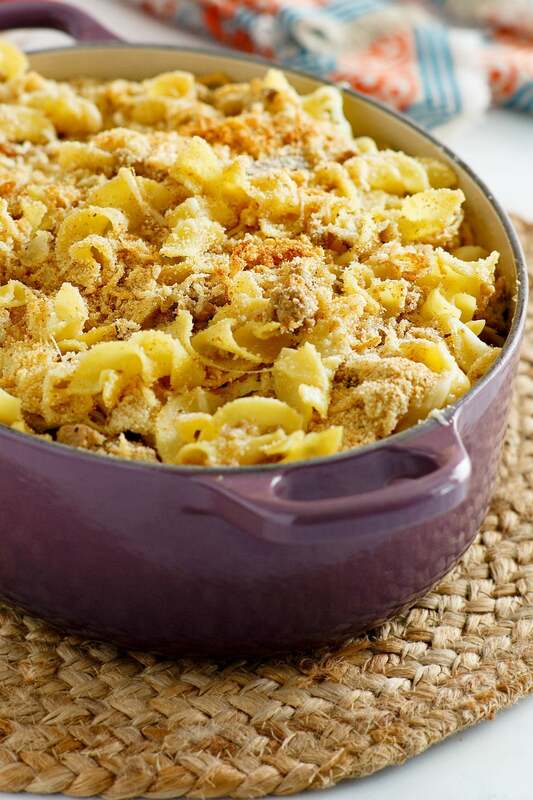 They’re so good in a noodle casserole because they’re soft and easy to combine with other ingredients. Bacon, mushrooms, onions and turkey are sauteed together (in the rendered bacon fat). Broth, cream and nutmeg create a delicious sauce to add to the vegetable- turkey mixture and combine with the cooked egg noodles. 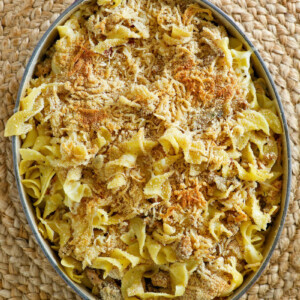 Then the turkey noodle casserole is transferred to a baking dish, topped with Gruyere cheese and breadcrumbs and broiled until melty and brown. If you’re wondering what type of dish to bake this in, just use whatever dish you have. Eyeball the ingredients when you’re done preparing, and pull out the casserole dish in your cupboard that will work for you. Choose one that is safe to put under the broiler since that’s what you’ll be doing. If casseroles are your thing, be sure to check out my casserole recipes. They’re wonderful comfort food! 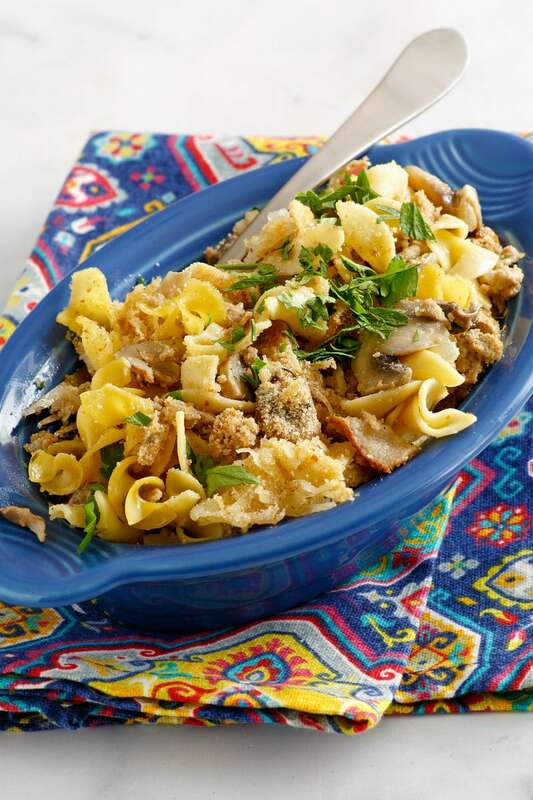 This Turkey Noodle Casserole is a great way to use up ground turkey! Bring a large pot of water to a boil for the egg noodles. When it boils, salt the water and cook the noodles to al dente. Drain well and return to the pot. Preheat a large, deep nonstick skillet over medium-high heat. Add the bacon. Cook for 2 to 3 minutes, until the fat is rendered and the bacon begins to brown at the edges. Add the turkey and brown it, crumbling with a wooden spoon. (If using leftover turkey, add the turkey after you cook the mushrooms and onions instead). Move the meat over to one side of the pan and add the mushrooms and onions to the opposite side. Cook the mushrooms and onions for 3 to 5 minutes, then stir the meat and veggies together. Season the mixture liberally with salt and pepper, and sprinkle in the poultry seasoning. Cook for another 5 minutes. Add the wine and deglaze the pan, using a wooden spoon to scrape up the pan drippings and browned bits. Stir in the broth and bring to a boil, then stir in the cream and reduce the heat to low. Add the nutmeg and stir. Taste and adjust seasonings if necessary. Preheat the broiler to high. Combine the noodles with the turkey and sauce. 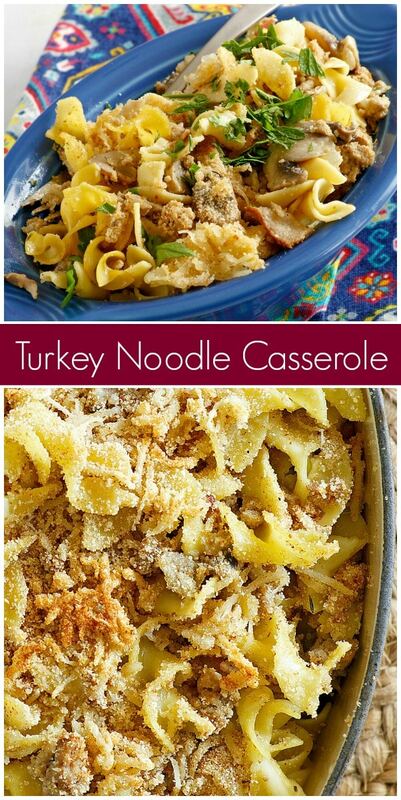 Spray a casserole dish with nonstick spray, then transfer the turkey noodle mixture to the dish. 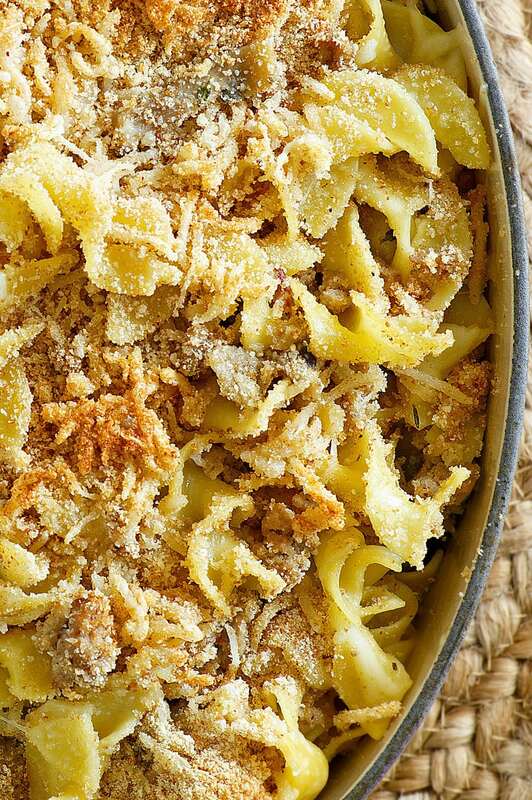 Top the casserole with the Gruyere then bread crumbs. Place the casserole 8 to 10 inches from the broiler and brown 2 to 3 minutes until cheese is melted and the crumbs are brown. Remove from oven and garnish the casserole with parsley. 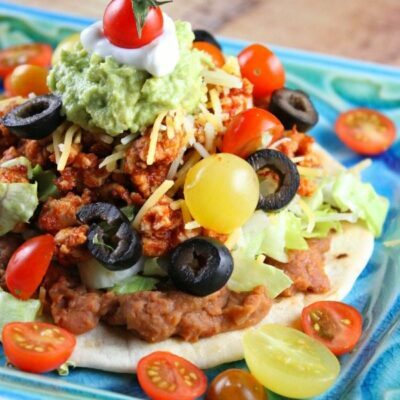 If you're trying to use up leftover turkey, you can certainly use chopped turkey in place of ground turkey. Just heat the turkey in the skillet with the rest of the ingredients. Maybe use about 2 1/2 cups.